Is the Australian Shepherd right for you? Find your perfect match now! The Australian Shepherd is actually from the United States and first caught most Americans' attention by doing tricks in rodeos. They're smart, enthusiastic, and versatile, and they need consistent activity and a purpose to be satisfied. “Aussies,” as their fans call them, make for excellent contenders in herding, obedience, and agility events. Australian Shepherds' intelligence, drive, and stamina also give this breed the skills and temperament to help in search and rescue missions or detection, or to act as hearing, therapy, or assistance dogs. This medium-sized and high-energy breed can grow to between 40-65 pounds and lives an average of 12-15 years. The breed is recognized by the American Kennel Club and classified as a member of the Herding group. 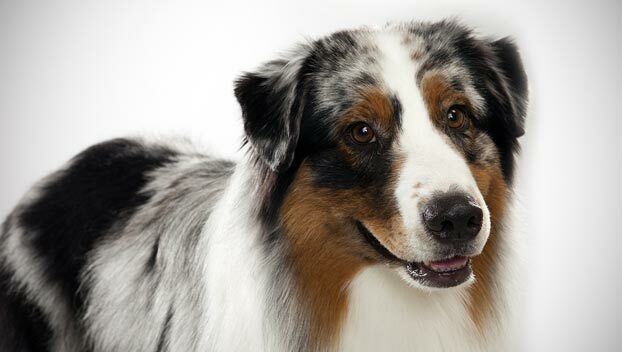 WHAT IS AN AUSTRALIAN SHEPHERD'S PERSONALITY LIKE? This breed is very intelligent, high energy, and affectionate. 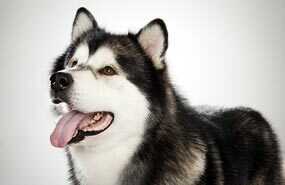 They're often great with children and very playful, but should be supervised like any dog. Australian Shepherds are good canine citizens in the dog park. They get along well with their fellow dogs, small animals, and other pets, though they can be nervous around strangers. WHAT IS AUSTRALIAN SHEPHERD BEHAVIOR LIKE? Aussies want to play with you. Take them running, play disk golf with them, throw balls, or enroll them in agility or obedience training. These four-footed smarties need vigorous exercise every day to discourage boredom and destructive or mischievous behaviors. This breed makes for very capable watchdogs who are extremely protective. They can be somewhat prone to barking. HOW EASY IS IT TO TRAIN AN AUSTRALIAN SHEPHERD? Australian Shepherds are strong-willed and independent-minded, but they're fast learners. Keep their quick minds active with new challenges. They respond best to training exercises that reward their successes with praise, food, and games. Aussies will probably try to herd anything that moves, so be sure to consistently correct nipping behaviors and redirect that energy toward games and activities that will keep their minds and bodies active. 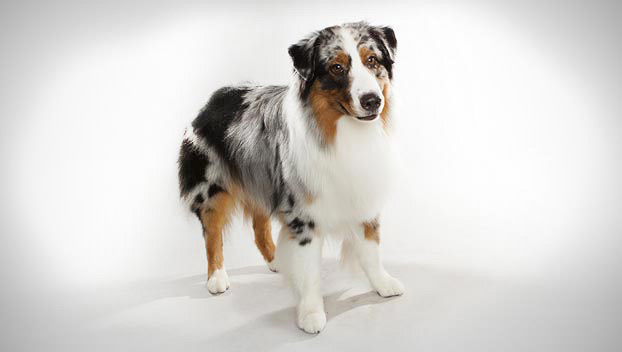 HOW MUCH DO AUSTRALIAN SHEPHERDS SHED AND WHAT ARE THEIR GROOMING NEEDS? The Australian Shepherd's moderately coarse, water-resistant coat grows to a medium length. Their thick coats need weekly brushings. Your Aussie is happiest working outdoors, so chances are she'll need a bath to keep her coat clean, unmatted, and free of debris. This breed sheds moderately and requires occasional grooming. 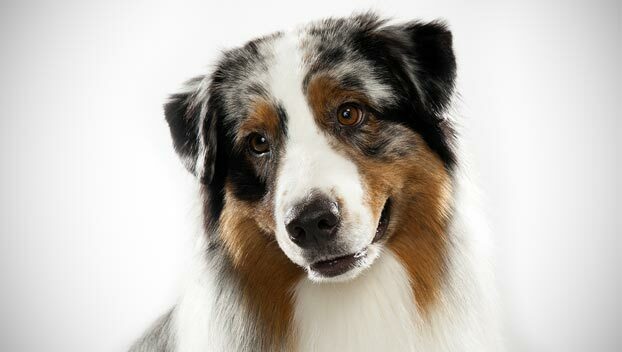 WHAT HEALTH PROBLEMS DO AUSTRALIAN SHEPHERDS HAVE? This is a generally healthy breed. They are sometimes susceptible to eye ailments like cataracts, iris coloboma, and Collie Eye Anomaly. 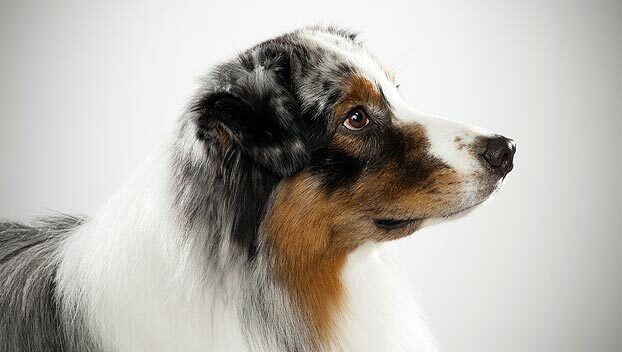 Watch for symptoms of hip dysplasia and sensitivity to frequently used veterinary drugs and be sure to check any Aussie for signs of blindness or deafness, a genetic condition that can occur when two merle-colored Australian Shepherds mate. ARE AUSTRALIAN SHEPHERDS GOOD FOR PEOPLE WITH ALLERGIES? The American Kennel Club doesn't list Australian Shepherds among its breeds recommended for allergy sufferers. You can reduce your furry friend's impact on your allergies with frequent baths and brushings to reduce loose hairs and allergy-aggravating proteins in your pet's dander. Use a damp cloth to wipe off your dog after playing outside. Smaller dogs have less surface area, so they produce comparatively less dander than larger breeds — definitely something to keep in mind when considering a dog as large as an Australian Shepherd! Remember that no breed is 100% hypoallergenic, and any breed can aggravate allergies. WHAT'S AN AUSTRALIAN SHEPHERD'S BEST DAY? Herding the children at the playground would probably bring lots of joy to this pup, but it probably won't fare too well with the children nor their parents. Keep your Australian Shepherd challenged with progressively complex tasks like sorting laundry or an intense game of disc golf to make it his absolute best day! And treats. Don't forget the treats! SHOULD I ADOPT AN AUSTRALIAN SHEPHERD? Someone who lives a very active and scheduled life would be an Australian Shepherd's dream come true. They're brainy, very affectionate, and practically inexhaustible, so an Aussie's best match would be a busy family with kids (or sheep) to mind where they can be your constant companion. They're not picky about climate; what matters most to this dog is having a job to keep them happy, healthy, and out of trouble. 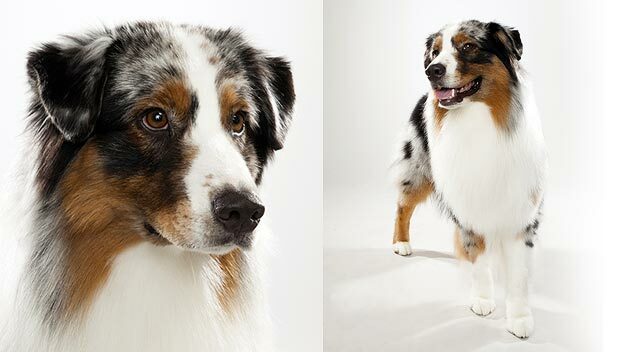 Have you decided that an Australian Shepherd is the perfect dog for you? Why not be your new best friend's hero and adopt a rescue! Be sure to check out our article on what to expect when you're adopting a dog or cat.